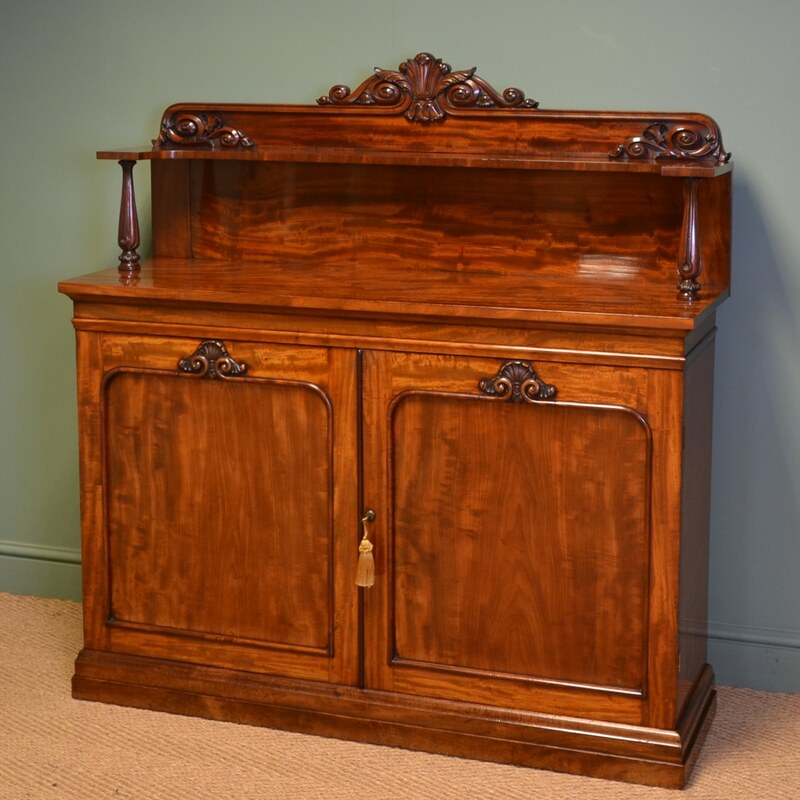 In the design and quality of Gillows of Lancaster, this superb chiffonier / cupboard dates from around 1835 and has a beautifully carved raised back with shaped shelf and turned column supports. 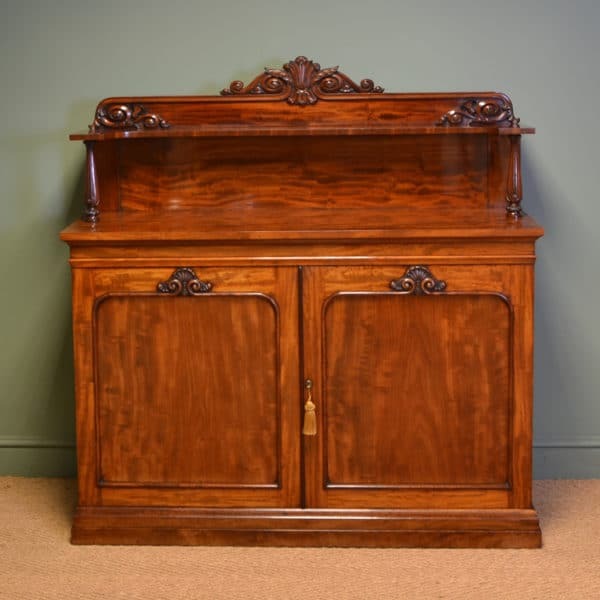 In the design and quality of Gillows of Lancaster, this superb chiffonier / cupboard dates from around 1835 and has a beautifully carved raised back with shaped shelf and turned column supports. 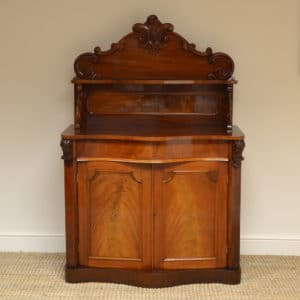 This sits above a beautifully figured top with two figured cupboard doors with moulded edges, quality carvings and key with working lock. 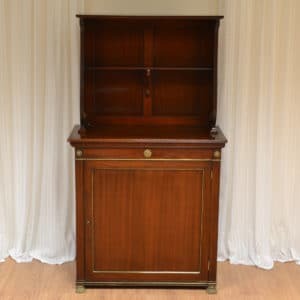 The interior has one adjustable shelf and this splendid piece stands on a moulded plinth and the mahogany has aged has aged to a rich warm shade with a striking grain, good patina, is in very good condition and has been beautifully cleaned using a traditional form of wax finishing. 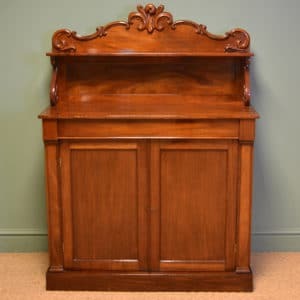 I reasonately purchased an Edwardian mahogany sheet music cabinet from James and have to say it is even better than the photographs. 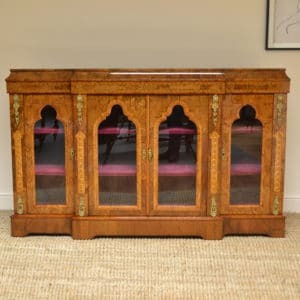 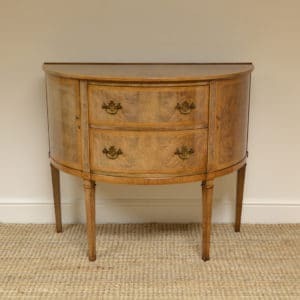 I have asked him to find a console table which will blend with the cabinet and feel confident that in time the right piece will be found.